'026 Robert A. Heinlein-TANSTAAFL' by Paul Marcus - DPC Prints! 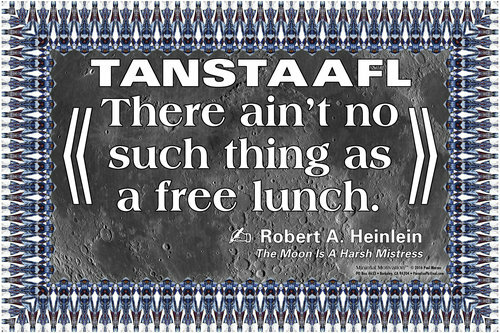 Quotation from Robert A. Heinlein's book The Moon Is A Harsh Mistress with a colorful abstract border and background image. "TANSTAAFL: There Ain't No Such Thing As A Free Lunch"